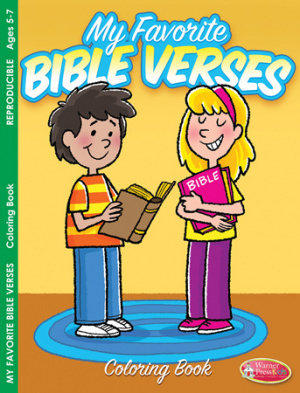 This My Favorite Bible Verses coloring book helps children learn important scriptures that they will remember for a lifetime. The activities are designed for children (ages 5-7) to enjoy as an adult helps read the story. My Favourite Bible Verses Colouring Book by Warner Press Kids was published by Warner Press in January 2017 and is our 4811th best seller. The ISBN for My Favourite Bible Verses Colouring Book is 9781593179175. Be the first to review My Favourite Bible Verses Colouring Book! Got a question? No problem! Just click here to ask us about My Favourite Bible Verses Colouring Book.